Did you know that if you publish your website in 13 languages, by using Multicultural Translation you can target 80% of the world’s gross domestic product (GDP) consumers? These languages are English, Spanish, Simplified Chinese (People’s Republic of China), Japanese, German, Arabic, French, Russian, Brazilian Portuguese, Italian, Korean, Traditional Chinese (Taiwan and the islands), and Turkish. Many companies would love to have that kind of reach. But they cannot justify the cost of their full website translation into these languages. So our answer is simple. Don’t aim for a grand portal, but don’t isolate yourself. 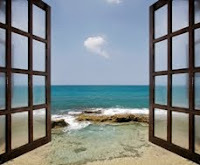 Instead, open a Window to the World! Interested? Inquire about GlobalVision’s Window to the World opens in a new windowwebsite translation package. Our team can help you design a landing page for your company. With multicultural translation, we can convert it into 12 languages. We will optimize the page for keywords and languages of your choosing and will link to your main website. 90% of the world’s web visitors will hence find you when they search for your keywords in their native language. The Window to the World page will then lead them to the rest of your website. Ask us also about the benefits that your trademarks will enjoy at no added cost! Note: As an added bonus, GlobalVision will send you free of charge a prominent eBook in the industry. It is called Enabling Globalization opens in a new window: A Guide to Using Localization to Penetrate International Markets.